Naturally elegant sage and olive hues are ideal for channelling the beauty of the great outdoors, while jewel-like emeralds and jades create a luxurious look. And if a bright tone is the order of the day, a vibrant lime is a fantastic option to refresh your décor. 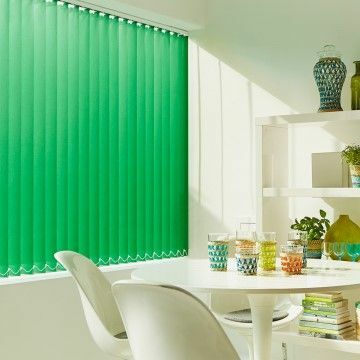 As well as offering a wealth of styles, green Vertical blinds are a practical choice. Their clever louvres allow you to balance light and privacy in your room. Once you’ve decided that green is the way to go, it’s time to decide which fabric is the one for you. At your no-obligation appointment, your local Hillarys advisor will bring samples of our green Vertical blinds range to your home for you to browse at your leisure. Within our collection, we’ve a stunning selection of designs. And because each of our green Vertical blinds is made-to-measure, they can be adapted to suit virtually any shape of window. Our clever curved headrails ensure a snug fit in bay or bow windows. 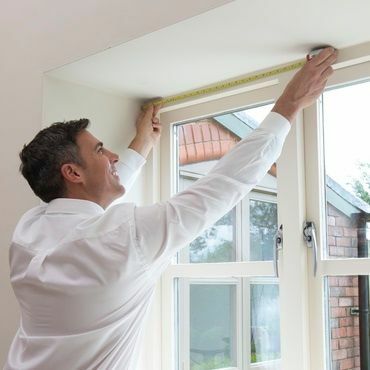 What’s more, versatile Verticals blinds can even be fitted in sloping windows.